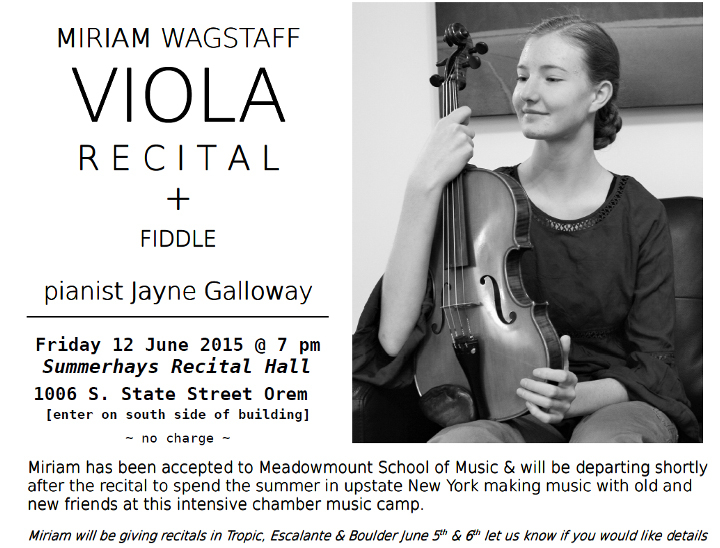 Upcoming Viola Recitals by Up-and-Coming Viola Rock Stars! Remember the Viola Rock Stars that performed as part of the Utah Viola Society’s Viola Day last fall? Miriam Wagstaff and Madison Marshall have both been accepted to Meadowmount this summer and are giving farewell recitals this June! What an accomplishment, and we can all say we knew them when they were just starting out on their journeys to becoming viola rock stars. 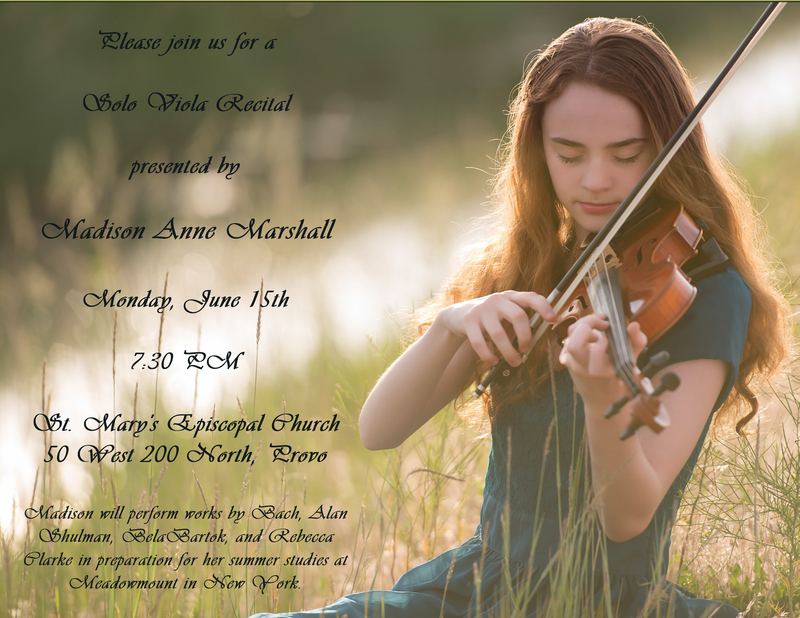 Miriam Wagstaff will present her recital on Friday June 12, at Summerhays in Orem, and Madison Marshall will perform on Monday June 15 at St. Mary’s Episcopal Church in Provo. If you have a recital you’d like the Utah Viola Society to know about, please drop us a line! We’d be happy to publicize your recital and support all things alto clef in the Beehive State!